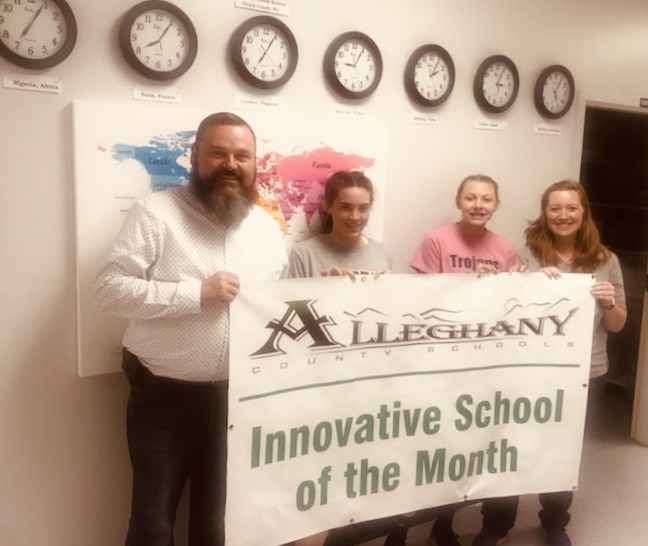 Mr. Hall and Ms. Murphy along with Kylee Weddington and Zoe Gambill were presented with the banner for taking the lead on our Read to Feed Initiative! At Piney Creek School, we believe that all students should be provided a rigorous and engaging curriculum where they will cultivate a passion for continued learning. Our culture of high expectations will provide the opportunity for students to be empowered, successful, self-directed learners. As a learning community, we will develop, nurture, and challenge students to their fullest potential in order for them to become college and career ready. Through a collaborative partnership between staff, students, parents, and community, Piney Creek School will promote a safe, productive environment where teaching and learning is the avenue for students to succeed in order to become responsible members of our global society.